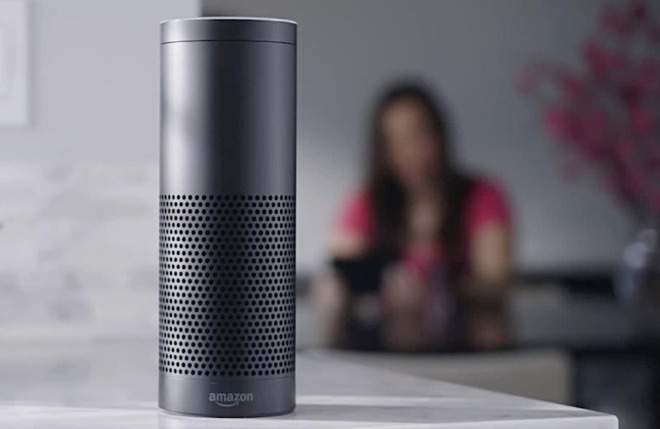 Amazon has confirmed that Apple Music will in fact migrate to third-party Alexa powered devices, but we're not sure how long you'll have to wait for it. Despite not responding to several requests by AppleInsider about the matter during our testing, the company has confirmed to Mashable's Raymond Wong that the feature will come at some point to other Alexa devices. News of the new skill arrives shortly after the two companies made a deal to make new Apple products available on Amazon from Apple directly and authorized resellers from January 4. Originially scheduled for December 17, the skill enabling Apple Music playback on Alexa rolled out three days early. For consumers, this presents the opportunity to add numerous Apple Music-compatible speakers to their home, and in the case of the Echo Dot, at a far lower cost than buying a HomePod. Many Alexa-enabled devices are natural fits for this functionality, such as third-party Alexa speakers or smart home devices like the Ecobee 4 that we reviewed in April or the First Alert OneLink Safe & Sound (review). At present, Apple Music on Amazon Alexa does not appear to play back music uploaded to iCloud through iTunes. Supported on Echo Dot (crappy sound) but currently not on Amazon's own FireTV (hooked up to hi-fi rig). Gave feedback to Amazon requesting broader device support but it is probably gated by Apple, not Amazon. Echo Dot supports audio-out (analog).